Welcome to 'Celf-Centered' - my own personal tribute and celebration of the artistry of animation. 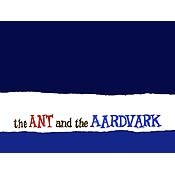 When I first began collecting animation cels, drawings and animation watches twenty six years ago, I was initially attracted to the ability of these magical images to instantly transport me back to my childhood....oh, those wonderful Saturday morning memories! As my collection grew to what my fiancee' refers to as `excessive proportions' (ergo the name 'Celf-Centered'), I came to discover that animation ART is exactly that....art in its purest, most magical form. Far more than mere `cartoons', these images showcase some of the finest artists anywhere. Not a day goes by that I don't look at my cels - always with delight and child-like wonder. I know I'm not alone in my love of these wonderful images....so here's my collection! I hope you enjoy them as much as I do! 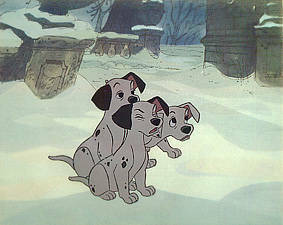 This is an original hand painted production cel used in making Walt Disney ‘101 Dalmatians’, 1961. 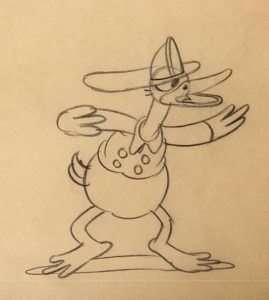 This animation drawing of Donald Duck was created by a Disney animator in development of a scene in the animated cartoon. This is an original hand painted Courvoisier production cel . The set-up features the ‘Matador’. The 'Leader of the Club' Art Corner cel, bearing official Gold Art Corner Seal on rear. 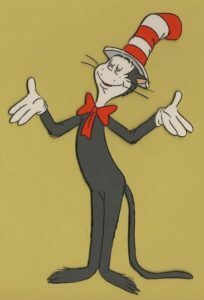 This is an original hand painted cel used used in the production of 'The Cat in the Hat', 1971. 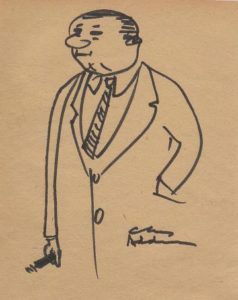 Dr. Seuss, DePatie-Freleng. 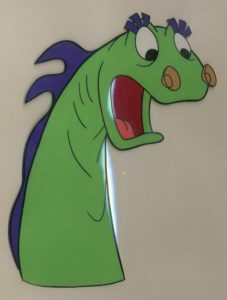 This is an original hand-painted production cel of Cecil the Sea-Sick Serpent used in the production of Beany and Cecil,1962-1968. 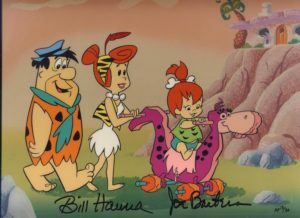 ‘Flintstone Family’ is hand signed by producers Hanna and Barbera.This Limited Edition cel is a rare Artist Proof #13 of 30. 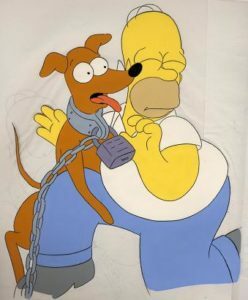 ‘Homer Simpson & Santa’s Little Helper’, 1990’s. 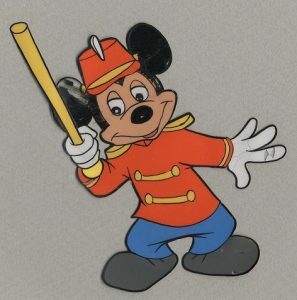 These original production cels are two images on two separate overlay cels. Each are hand painted on over sized (very large) full untrimmed sheets. 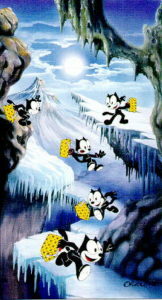 ‘Felix The Cat’,1993 by Joe Oriolo. 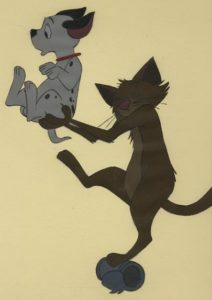 This Limited Edition is an Inkers Proof titled ‘Moonlight Run’ and is a ‘Pan Cel’. Death Of Superman Fossil Watch, 3/1/93 (10,000). The collectible watch has a debossed Superman logo on a metal dial and a Superman logo shaped package with a commemorative lapel pin. ‘Yellow Submarine’ No 4 Fossil Watch, 3/1/99 (3K) Inspired by the Beatle’s album, ‘Yellow Submarine’ this watch featured a retro-style drawing of the band on the face.